4 piece die set that coordinates with Thankful Leaves Turnabout™ stamp set! 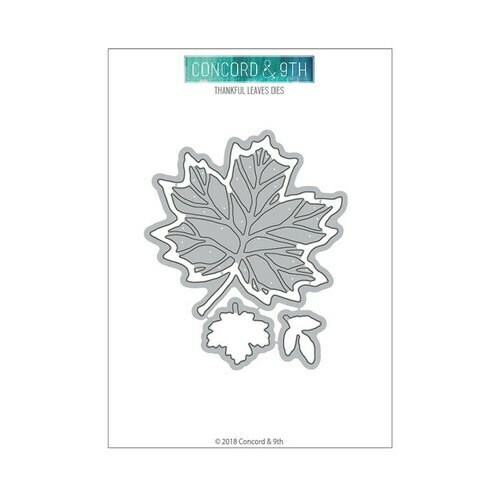 Use the outer leaf for a solid diecut, or drop in the detailed die with the outer die for a detailed leaf. The sentiment "your kindness means so much" fits on the solid leaf. 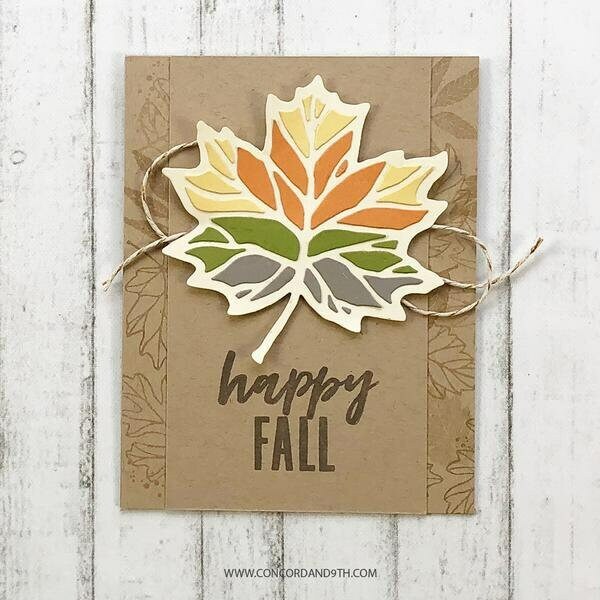 The two smaller leaves die cut the individual leaf stamps in the Thankful Leaves Turnabout™ stamp set. 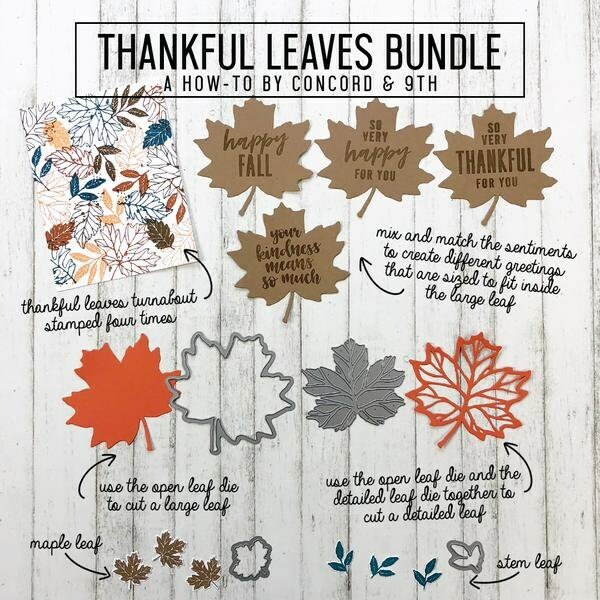 BUNDLE with Thankful Leaves Turnabout™ stamp set! Solid leaf = 3 3/4" x 3 3/4"